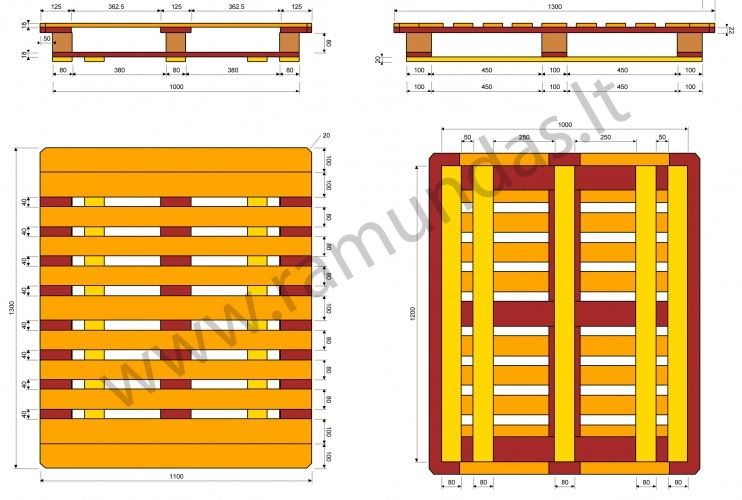 CP pallets are intended for chemical industry. 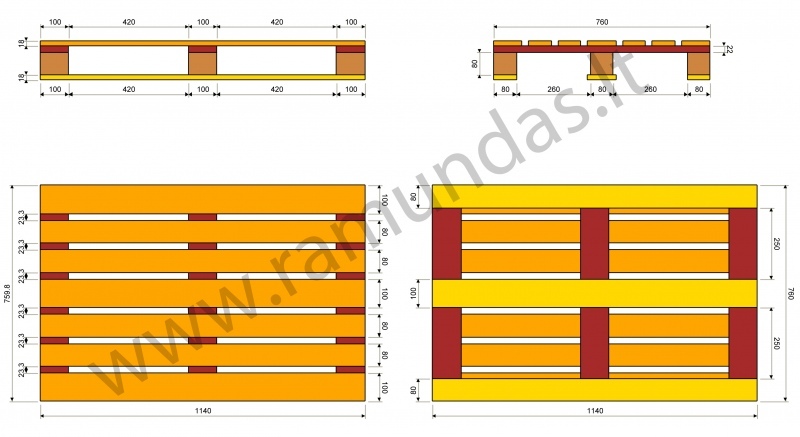 They belong to pallet exchange system, can be repaired as well. CP standards describe wood quality, measurements, marking and repairing. 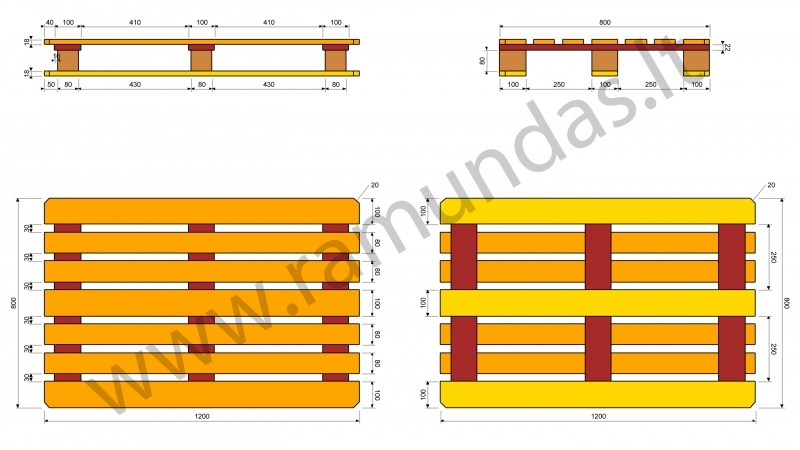 There are markings on pallet blocks where producer’s or repairer’s code, year of production and possible date of repair are indicated. Pallets can be heat treated according ISPM15/IPPC requirements and can be kiln dried as well. 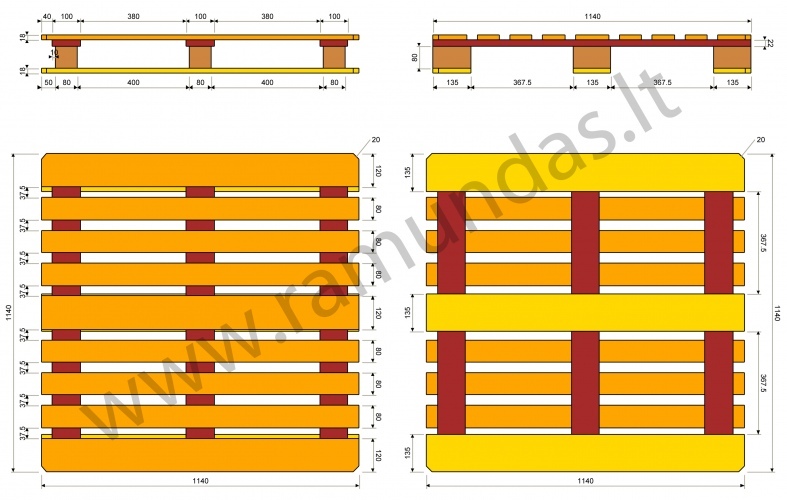 Dimensions: 1000x1200x138 mm. Weight of pallets: 23 kg. Load weight: 1190 kg. 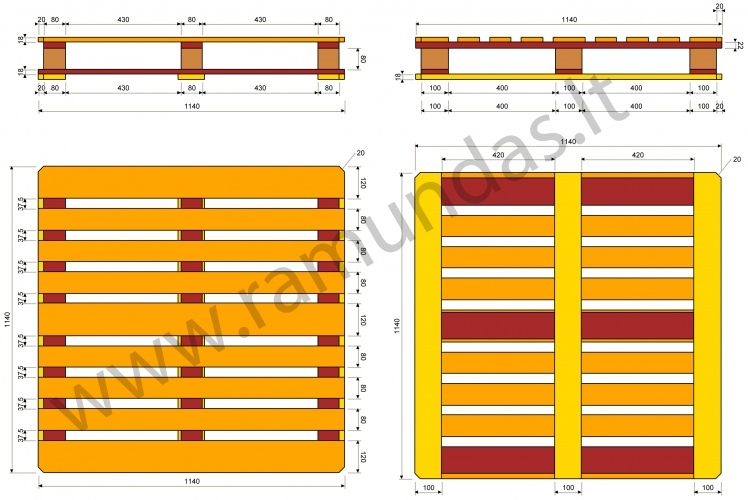 Dimensions: 800x1200x141 mm. Weight of pallets: 17,5 kg. Load weight: 1530 kg. Dimensions: 1140x1140x138 mm. Weight of pallet: 23,5 kg. Load weight: 1030 kg. 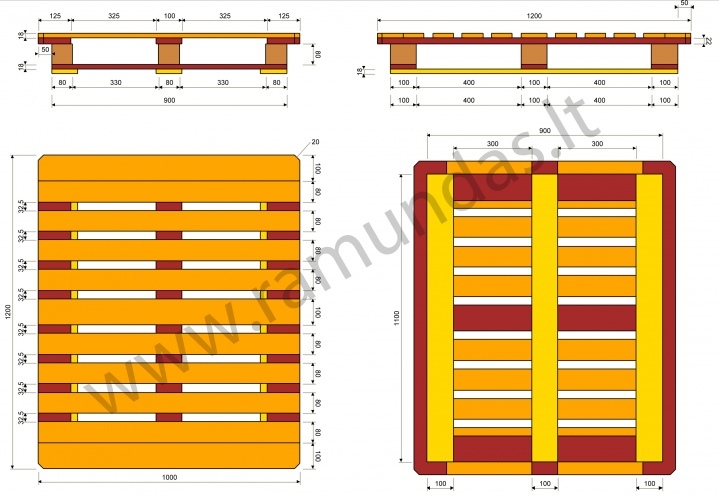 Dimensions: 1100x1300x138 mm. Weight of pallet: 23,5 kg. Load weight: 1580 kg. Dimesnions: 760x1140x138 mm. Weight of pallet: 16,5 kg. Load weight: 1380 kg. 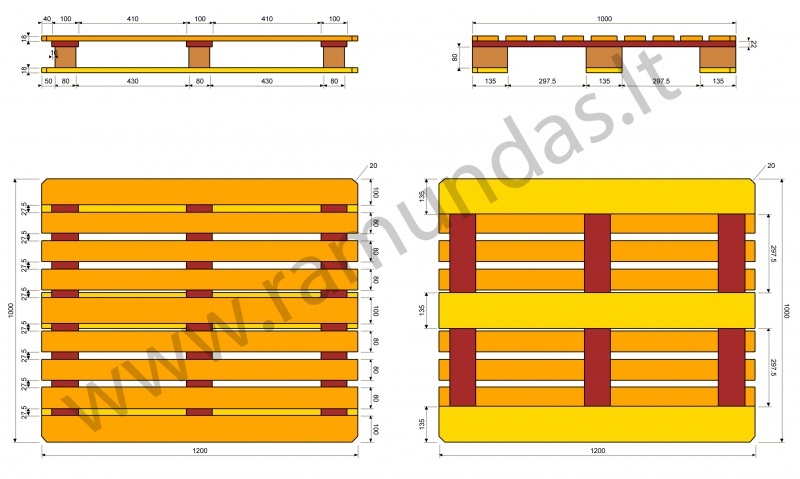 Dimensions: 1000x1200x156 mm. Weight of pallet: 23,5 kg. Load weight: 1460 kg. 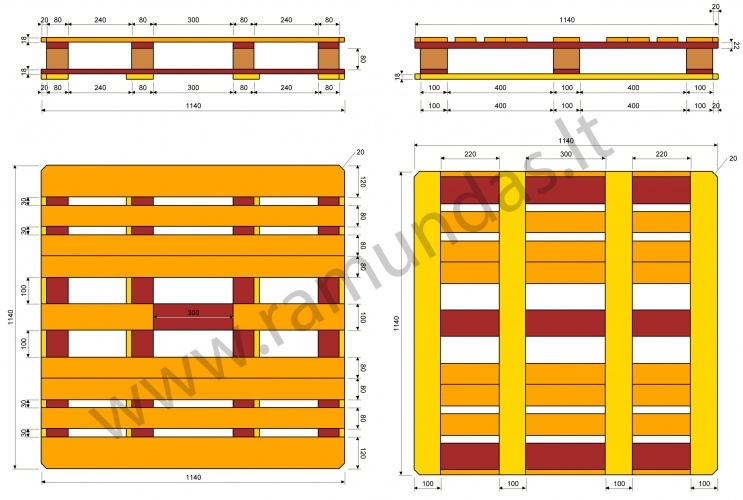 Dimensions: 1100x1300x156 mm. Weight of pallet: 23,5 kg. Load weight: 1570 Kg. Dimesnions: 1140x1140x156 mm. Weight of pallet: 24 kg. Load weight: 1490 kg. 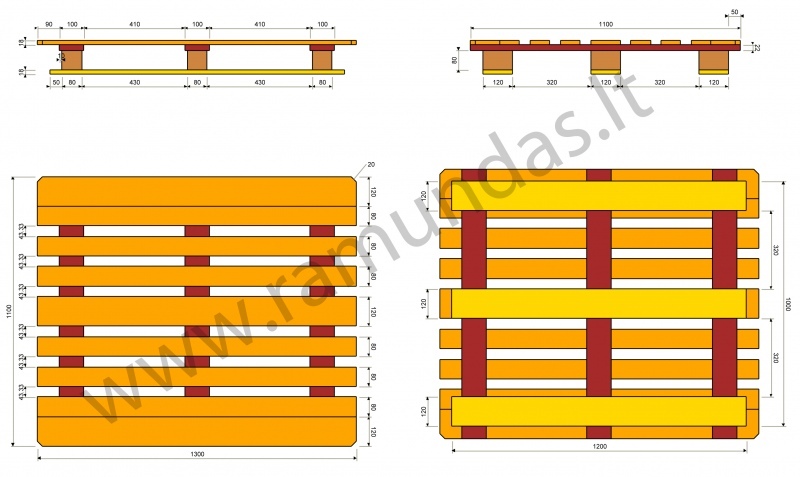 Dimensions: 1140x1140x156 mm. Weight of pallet: 25 kg. Load weight: 1020 kg.